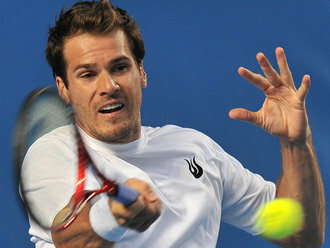 Veteran Tommy Haas stunned top seed Jo-Wilfried Tsonga in the second round of the BMW Open on home soil in Munich today. The 34-year-old German, a wild card entrant, had not reached the quarter-finals of an ATP World Tour event on clay for three years but he needed less than an hour to dump out world number five Tsonga 6-1 6-4. In the last eight Haas will meet eighth seed Marcos Baghdatis, who was given a torrid time by German qualifier Dustin Brown in the first set before recovering to win 1-6 6-4 6-4. Sixth seed Mikhail Youzhny also had to come from a set down against Colombian Santiago Giraldo, the Russian eventually prevailing 6-7 (2/7) 6-4 6-4 to set up a meeting with Croatia’s Marin Cilic, who was a comfortable 6-3 6-2 winner over Matthias Bachinger today. Stanislas Wawrinka and Richard Gasquet wasted little time in reaching the quarter-finals of the Estoril Open in Portugal today. Second seed Gasquet was particularly impressive, losing only two games in his 6-1 6-1 victory over Paolo Lorenzi, while third seed Wawrinka had a trickier time in the first set against qualifier Ivan Navarro before coming through 7-6 (7/5) 6-1. In the last eight Wawrinka will face Dutch sixth seed Robin Haase, who dropped the opening set to another qualifier, Inigo Cervantes, but recovered to win 5-7 6-4 6-2. Awaiting Frenchman Gasquet is Spanish qualifier Daniel Munoz-De La Nava following his 6-4 6-4 victory over eighth seed Flavio Cipolla, while in the final first-round match America’s Bobby Reynolds beat Attila Balazs of Hungary 6-3 6-4. Tommy Haas is set for a lengthy spell out of the game after undergoing hip surgery. The world number 18, who was a semi-finalist at Wimbledon last year, had the operation in Vail, Colorado on Friday. The 31-year-old reached number two in the world in 2002 but his career has been dogged by injuries, including two broken ankles and three shoulder operations, while he also took a year out of the game to look after his parents following a serious car accident. He enjoyed a renaissance in 2009, climbing back into the top 20, but the beginning of this season has been a struggle and he lost in the first round of his last two tournaments. No timetable has been set for Haas’ return following this latest setback but he is certain to be out for a number of months. Haas goes out…bring on the Volley Girls! Top seed Tommy Haas suffered a surprise opening-round defeat to unheralded Russian Teimuraz Gabashvili at the Delray Beach International Tennis Championships. The German veteran suffered his third consecutive first-round exit in Florida as he succumbed 7-6 (7/3) 7-5 to the world number 104. Last year’s runner-up Evgeny Korolev recovered from a mid-match slump to overcome Nicolas Lapentti 6-2 1-6 6-1. Korolev, the fifth seed, won just six points on serve in the second set but fought back strongly to ensure his progress with an impressive third set. Floridian Wayne Odesnik secured a 6-3 6-2 win over Rajeev Ram despite twisting his ankle early in their match. Odesnik suffered the injury at 3-1 ahead in the opening set although it did not prevent him moving through. Haas struggles to defeat wildcard entry Britton. Fourth seed Tommy Haas raced through a tight first-round encounter at the SAP Open in San Jose. Germany’s Haas claimed a 6-4 7-6 (7/3) win over wild card Devin Britton in one hour 13 minutes. Sixth seed Philipp Kohlschreiber of Germany prevailed in three sets over American Rajeev Ram, winning 6-7 (7/9) 6-1 6-3. Sam Querrey, the seventh seed, saw off Russian Teimuraz Gabashvili 6-3 6-2 in just under 55 minutes. Eighth seed Jeremy Chardy of France was beaten 6-3 6-1 by Bjorn Phau of Germany, Robby Ginepri lost 6-7 (5/7) 6-2 6-3 to qualifier Ricardas Berankis of Lithuania. Benjamin Becker of Germany beat qualifier Tim Smyczek of America 6-4 6-2 and Michael Russell of America beat South Korea’s Im Kyu-Tae 7-6 (7/6) 6-1. Im was a late replacement for Mardy Fish, who withdrew with a left knee injury. 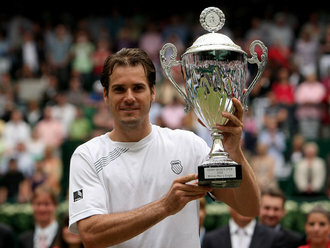 Swine flu ends the season for Tommy Haas. Tommy Haas has had to pull out of the Davidoff Swiss Indoors tournament in Basle after contracting swine flu. The 31-year-old consulted his doctor when he contracted flu-like symptoms, and he was diagnosed with the highly-contagious H1N1 strain. “I did a test because I suspected I had the swine flu and the test was positive,” he told the Bild newspaper. Nevertheless, the German, who reached this year’s Wimbledon semi-finals, is not too worried about the illness, even if it means his season is practically over. “I am quite relaxed because I know that swine flu is a particularly strong form of flu, but when you are in a good physical condition like I am, then you can quickly beat it off,” he added. Haas had to pull out of the last ATP event in Stockholm after detecting the flu-like symptoms and he is unlikely to be fit to appear in Paris next week. Tommy Haas down and out with the flu. German Tommy Haas withdrew for the second straight week from an ATP event, pulling out before his Stockholm Open second round against Finn Jarkko Nieminen Thursday. Haas, seeded second, cited influenza as the reason for failing to take the court against Nieminen, who underwent wrist surgery this season and then missed several weeks after the US Open with a virus. Haas quit in the second round of last week’s Shanghai Masters trailing 6-4 against fellow German Rainer Schuettler, stopping play as a precaution due to shoulder pain. Haas also withdrew at mid-match in the Montreal second round in August against Fernando Gonzalez. ‘Advanta WTT Smash Hits’…..Dec 8th! Anna Kournikova, one of the world’s most popular athletes, and Tommy Haas, ranked No. 18 in singles on the ATP Tour, have been added to the lineup for Advanta WTT Smash Hits, the charity tennis event co-hosted by Sir Elton John and Billie Jean King. Kournikova and Haas will join Andy Roddick, Lindsay Davenport and world doubles No. 1 Liezel Huber on December 8 at the Pete Maravich Assembly Center on the Louisiana State University campus in Baton Rouge. Captained by King and John, the players will form two teams and play the World TeamTennis format. John will also participate in a celebrity doubles match to open the event. Haas and Roddick are expected to face off in the evening’s men’s singles showdown. Haas, who was ranked as high as No. 2 in the world in 2002, jumped back into the ATP top 20 this summer with a semifinal finish at Wimbledon where he posted a victory over world No. 4 Novak Djokovic before losing to eventual champion Roger Federer. Haas also won an Olympic silver medal in singles for Germany in 2000 and has won 12 career singles titles on the ATP Tour. Kournikova, a longtime supporter of Advanta WTT Smash Hits, is a two-time Australian Open doubles champion and reached career high rankings of No. 1 in doubles and No. 8 in singles. During her career, Kournikova had singles wins over some of the top names in the sport, including Lindsay Davenport, Steffi Graf, Monica Seles, Jennifer Capriati and Martina Hingis. This native Russian, who won 16 career WTA Tour doubles titles, also plays for the St. Louis Aces of the Advanta World TeamTennis Pro League. Reserved tickets are $30, $65 and $100, and are available through the LSU Box Office or by calling 800-960-8587. Tickets can be ordered online at http://www.wtt.com/smashhits. Not one, but two casulties in Montreal! Rafael Nadal’s return from injury was short but successful as he advanced to the third round of the Rogers Cup in Montreal because fellow Spaniard David Ferrer was forced to retire from the match with an injury of his own. This was Nadal’s first singles outing after more than two months on the sidelines with a knee injury. during which time he has seen his Wimbledon title and world number one ranking snatched back by Roger Federer. He traded breaks with Ferrer in their encounter tonight before the latter left the court after seven games with Nadal leading 4-3, apparently with a leg problem. It was Ferrer who had his knee taped, and it was Ferrer who called the trainer after 6 games to examine his knee or leg. A bizarre ending to much anticipated return for Nadal. We can draw no conclusions from the 7 games he played. Nadal will now face Philipp Petzschner, who upset the odds to beat 15th seed Tommy Robredo 7-6 (7/3) 7-6 (7/4). While Ferer was retiring on Centre Court, Tommy Haas was having hand problems on the National Bank Court. He had treatment with a scapel by the trainer and tried to continue with a bandage on his hand. He lost a tie breaker to Fernando Gonzalez and retired unable to continue. Cilic loses to qualifier, Haas, del Potro squeak thru! Defending champion and No. 2 seeded Juan Martin del Potro of Argentina avoided another upset, as did 10th-seeded Tommy Haas of Germany. Del Potro rallied for a 4-6, 6-3, 6-2 win over Taiwan’s Yen-Hsun Lu in the second round, and Haas also won his second-round match, 6-1, 4-6, 6-4 over Canada’s Frank Dancevic. No. 8 seed Czech Tomas Berdych defeated Latvia’s Ernests Gulbis 6-2, 7-6 (6) to move into the third round. Qualifier Somdev Devvarman of India recorded the biggest win of his career Tuesday, upsetting No. 6 seed Marin Cilic of Croatia 7-5, 6-4 to advance to the third round of the Legg Mason Tennis Classic. In a match that started late Tuesday night and ended well past midnight, del Potro lost the opening set of the match and his hard court season after dropping his serve at 3-all. He stormed back with his own break at 4-3 in the second and after breaking Lu to open the third, the 2008 champion finished off the long night by winning 16 of 18 service points. After cruising in the first set, Haas went down 1-4 in the second before winning three straight games, but he left the door open by failing to convert on any of his five break point chances on Dancevic’s next service game. Dancevic held and then broke Haas to win the set. Haas broke serve at 3-all in the final set and closed out the match, one he was not aware that he was going to play until he awoke Tuesday morning. Germany’s Benjamin Becker beat American Robby Ginepri 7-6 (3), 6-7 (1), 7-6 (4) to advance to the second round, where he will face top-seeded Andy Roddick. Roddick, a three-time Washington champion who hasn’t played since his loss to Roger Federer in the Wimbledon final, said Monday he’s recovered from the right hip flexor he sustained in the July 5 match. In a matchup of former top-10 ranked players, former world No. 1 Juan Carlos Ferrero of Spain beat Nicolas Lapentti of Ecuador 6-4, 6-7 (5), 6-0, crediting the win to his ability to thwart eight break points. “I saved a lot of break points with the serve and it was one of the keys to (stay) alive,” said Ferrero, who will face countryman and No. 7 seed Tommy Robredo in the second round. Querrey in his third consecutive final. Sam Querrey upset top seeded Tommy Haas 6-3, 7-5 on Saturday night to reach the finals of the L.A. Tennis Open. “I just slowed down and took it one point at a time and really played five good points in a row,” Querrey said.